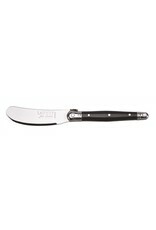 Jean Dubost Jean Dubost Mini Black Spreader - Miam! This spreader is made from high-grade stainless steel and is dishwasher safe and rust resistant. The Laguiole knife has been used in the south of France for over 200 years. A bee that is found engraved on all Laguiole products, was originally part of Napoleon Bonaparte's imperial seal. The blade, made of high-grade stainless steel, is stamped, then ground and polished in over 25 different manual production stages. 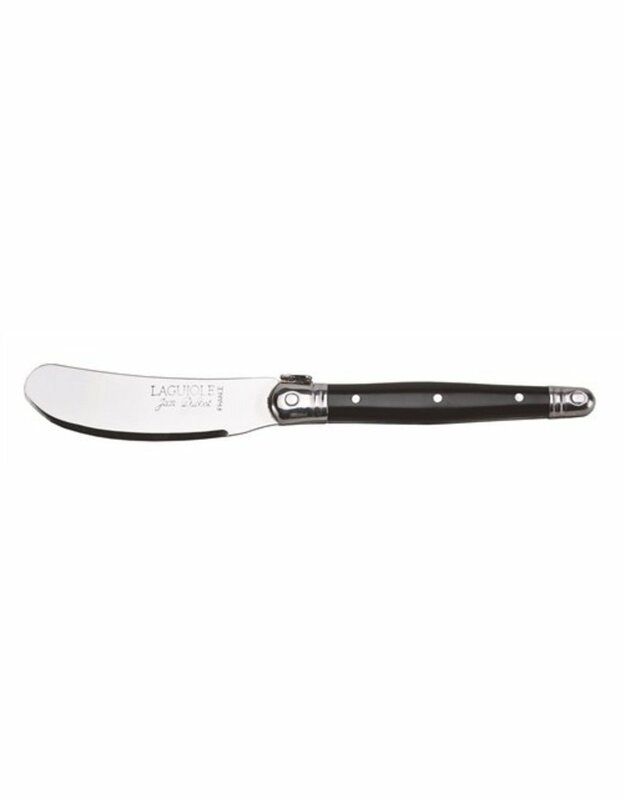 Soft and subtle to the touch, a Laguiole knife will stay sharp and will never rust.